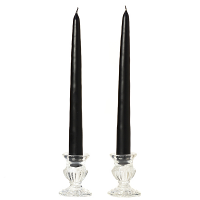 These 6 inch taper candles are made at our factory here in the U.S.A. We overdip a white taper candle in our unscented colored wax to create all our vibrant tapers. 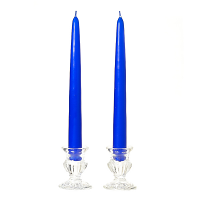 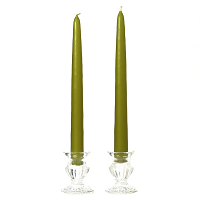 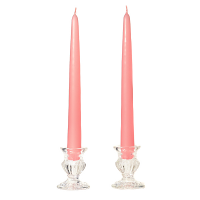 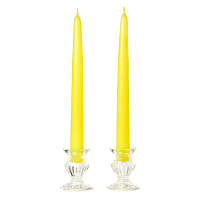 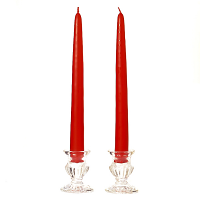 The outer wax coating melts at a higher temperature than the inside making these dripless taper candles. 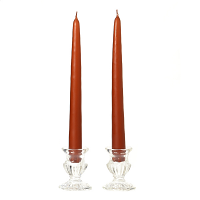 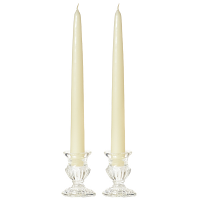 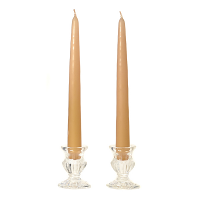 Our short taper candles are sold by the pair which are joined together by the cotton wick. 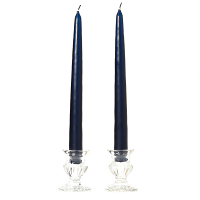 These small taper candles have a standard size base and burn at a rate of a 1 to 1.5 inches per hour. Lovely candles, however all 3 were slightly dented and 1 won't burn. I just dont have the energy to complain about it, they will do..I was just happy to find h honeysuckle.